Set to false to skip this feature.This new feature requires a few extra fields added to the list with the upload destination – and you must update your function call with these new fields. If you are crating the <option> manually you must add a few extra attributes – see description in the code where you specify the <option> tags. I got a request from Gilbert Okello regarding a custom upload solution for submitting documents to various document libraries in a site collection. This solution uses the “CopyIntoItems” method to let the user select a document from the local computer and upload it to a document library / folder within the site collection. I must start off emphasizing that this solution requires Internet Explorer 10 or another modern browser to work. There is NO WAY you can make it work in any Internet Explorer version below 10. I have tested it in SP 2010 and SP 2013, but I guess it should work in SP 2007 as well. listName: The GUID or the display name of the list where the upload destinations are stored. listBaseUrl: The base URL of the list. If it is in the root site, use “”. If it is in a subsite, use “/MySubsite” or “/Sites/MySubsite” depending on your setup. The list name should NOT be included in this variable. friendlyNameField: The FieldInternalName of the field that holds the friendly name of the destination. relPathField: The FieldInternalName of the field that holds the relative URL to the library or folder to upload the files. DocLibraryGUID: The GUID of the document library you are uploading into. View source and search for “ctx.listName” to find it. EditFormRelUrl: The relative URL to the EditForm of your library. For example “/Sites/Site1/YourSiteName/Shared documents/Forms/EditForm.aspx”. orderByField: The FieldInternalName of the field to sort by. Create a custom list with one additional single line of text field “RelPath”. Enter the friendly name in the Title field, and the relative path to the library or folder in the field “RelPath”. In addition to the above fields you must add the following if you like to use the new “Go to EditForm after upload” feature. BaseUrl: Single line of text. DocLibraryGUID: Single line of text. EditFormRelUrl: Single line of text. Using this list is optional. If you like, you can enter the destination directly in the code in the <select> control with id “fileUploadTo”. If you prefer to use the manual approach, ensure you comment out the function call to “getUploadDestinations” in the code example. The script file “spjs-utility.js” is only used for the function “getUploadDestinations” an you can remove it if you enter the destinations manually. If you prefer, you can add the destinations manuelly in the <select> with id "fileUploadTo". Post questions and feedback in the comments section below, and if you use this solution, please consider sending me a few beers by clicking the “beer button” in the top right corner of this page. When I upload the script to the source editor of the HTML form web part, i get an error: “Cannot retrieve properties at this time”. This has nothing to do with this script I think, try using compatibility mode in the browser. You can also add the script to a file and link it from a Content Editor Web Part using the content link option. Didn’t work with IE (I am not getting the ‘submit’ button). “Ensure the selected destination exists! Thanks for the feedback. Could you send me some details on the upload target URL. It may be a problem with how chrome interprets the URL. Use Internet Explorer 10 or another modern browser. I suspect you have compatibility mode activated? In the browser, go to “Tools” > “Compatibility View Settings” and ensure the site is not listed there. No sites listed in Compatibility view settings. I also checked the site in Google Chrome (Version 31.0.1650.63 m) and experienced the same issue. Ensure they are NOT below IE 10. This is strange because there are definitely no Compatibility mode sites and the ‘Display Intranet Sites in Compatibility view’ setting is not ticked! The problem is that SharePoint forces this document mode in the master page. Can someone else post their experience with it – does it work for you? How much file size we can Upload in Document Library . I do not know how large files you can upload – I have tested whit 15MB files with no problems. Please stop nagging for answers after 10 minutes. Ensure the selected destination exists! Error message: The Copy web service method must be called on the same domain that contains the destination url. The column name is case sensitive and must be “RelPath” with capital P.
Ensure you have the correct list name in the argument “listName” in the function call to “spjs.upload.getUploadDestinations”. Your browser is not supported!Use Internet Explorer 10 or another modern browser. It seems you have modified the code and I cannot support you based on this snippet. Is it working with the original, unmodified code? How we can upload multiple file in you script and shows these file into below if you have time please send me the code it’s very urgent for me………. Sorry, but I have not built in support for uploading multiple files. Hi, I have tried this and received the same error as someone else above. The submit button does not appear. The submit button doesn’t appear once the js file has been added. The submit button will not show until you have loaded a file in the field. I’ve tried your code and works marvelous, I still have one question though, let’s say that my documents library has a field called “special Id” which I have stored in a SQL database and I’m getting information listed from SQL in my webpage, is it possible to take this “special Id” into the upload document function so the value get’s stored each time a user uploads a document? this is my code…. it’s works but the file is empty in librery with out data inside. Did you modify the code, or is it my original version from the article? It’s the original code but was modified to obtain the library manually. Is it the same error for all field types? – and please let me know which browser you use. I misspelled – I meant FILE types – is this what you meant also? Can you hit F12 in IE and tell me the document mode and user agent string that shows in the bottom button in the left side of the developer console. All fields have the same problem. I use IE 11. The problem may be the document mode. I’m not sure why this document mode is applied, but try changing it to 10 – and also the user agent string to 10.
i tried changing both.. but the same problem. this line contains the information? I’m sorry, but there is not much more I can do. Try another browser, or move the code to another page to see if this helps. Remove any additional code that could interfere. The “second” script is in the article – in the code block. What if I have additional data fields in the Document library that I want to update when this file is loaded … can this be done as well with this code? The fields may be i.e. Material Type, etc. I am struggling to get this work. What other pieces of code need to be customized to get this to work and what references to JS do I need if all the scripts are emebedded? Did you get the original version to work before trying to modify it? I ask because I’m trying to figure out why the solution does not work for Microsoft PowerPoint files using IE10 and SP2010 at my workplace. I have no issues on my own SP2010 website using IE11. 1. How can we force reset the ‘File Select’ & ‘Upload Destination’ fields after every instance regardless of final outcome? 2. How can we get prompted to populate ‘REQUIRED’ metadata following the successful file upload? – Basically the file upload function works flawlessly but would love to see the EDIT properties form prompted to force the users to do the right thing & check-in. 3. Bit over optimistic – I’ve noticed that spjs-utility.js has functions to call CASCADED drop-downs. Could we use this to perform selective lookup? Say, you choose a upload destination ‘Restricted’ upon which, 3rd field called ‘Choose’ with dropdown choices say HR / Finance / Corporate should become available. Correct me if I’ve wrong assumption. Really appreciate your time and help. Cheers! 1: You can reset the upload to by changing the function “processResult” and adding this to the “success” function. See the “error” function a few lines up for reference. Please note that this will not work in SP2007 as the “showModalDialog” function is not built in. * Your document library is in the same site as the upload control. 3: The cascaded dropdown solution I have created is for SharePoint forms and cannot be used here. Unfortunately I don’t have time to add this functionality, but as you have access to he actual <select> in the code you can build your own cascading logic if you like – you are free to alter the code if you want to give it a go. You can also add the destinations manually as <option> in the <select> – and you can use <optgroup> to group the different destinations. Alex, brilliant! really appreciate your time and help. The file edit form.aspx following the file upload worked great! in my SP O365 test site collection as I had the list names and config exactly to meet the requirements in your response to pt.2. Also, EditForm in Upload mode (Mode=Upload) works just a treat as it allows to CheckIn the file. 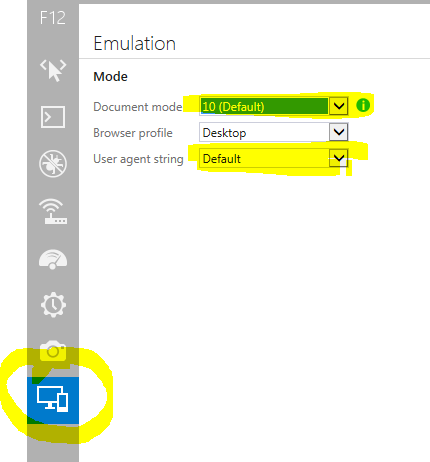 b. if we have a secured folder with-in a library with different permission and if I’m using the ‘Select Destination’ list to define the file upload path then, unfortunately, as you have pointed out, I cant get the editform.aspx using the above method. So, wondering if there is any other ways to achieve the same result? Can we somehow obtain the URL & ID of recently uploaded file by reverse lookup and then pass them to EditForm.aspx? Was thinking something along SPServices.SPGetLastItemID!? Again, appreciate your time. Your articles are very helpful for many SharePoint Admins like myself. See what you can make of the updated code in the article. Please note that you must change your list / config – see change log and read trough the article.